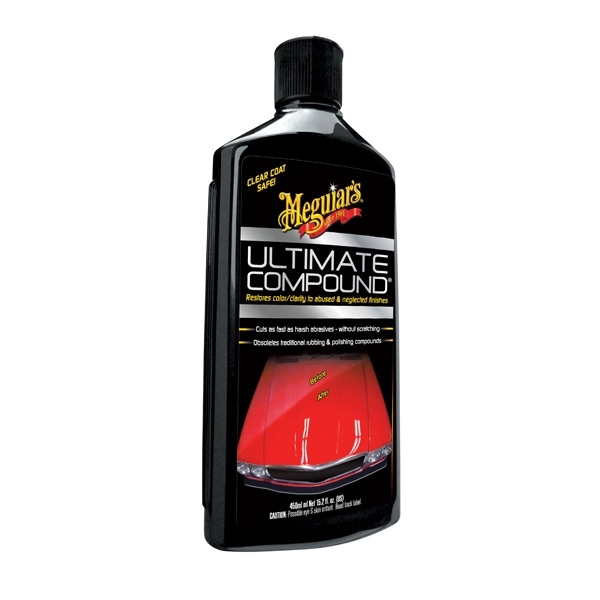 Safely restore color and clarity to abused and neglected finishes with Meguiar's Ultimate Compound. Our revolutionary formula cuts as fast as harsh abrasive compounds but without scratching… even on clear coat finishes. This dramatically reduces the time and effort required to remove defects and makes traditional rubbing and polishing compounds obsolete! This is the fast, easy way to remove oxidation, scratches and swirl marks. The secret is Meguiar's exclusive micro-abrasive technology developed from our state-of-the-art professional body shop and detailer products. Whether working by hand or with our Meguiar's DA polisher, this is truly the ultimate compound! I use it in my clients car's in weekends when they call me..leaves no swirls and holograms..and my clients always tell me what i use..jaja its a secret..in my mind I say Meguiar's all the way!! 3.Gold Class Carnauba Plus Wax.